She Cries Wolf's Liar album release was a complete surprise when it dropped in February, led by their single Magdalene featuring Ahren Stringer from The Amity Affliction - but what wasn't a surprise is the absolute dedication and passion on the record, not to mention the ecstatic response to the record once revealed to the world. 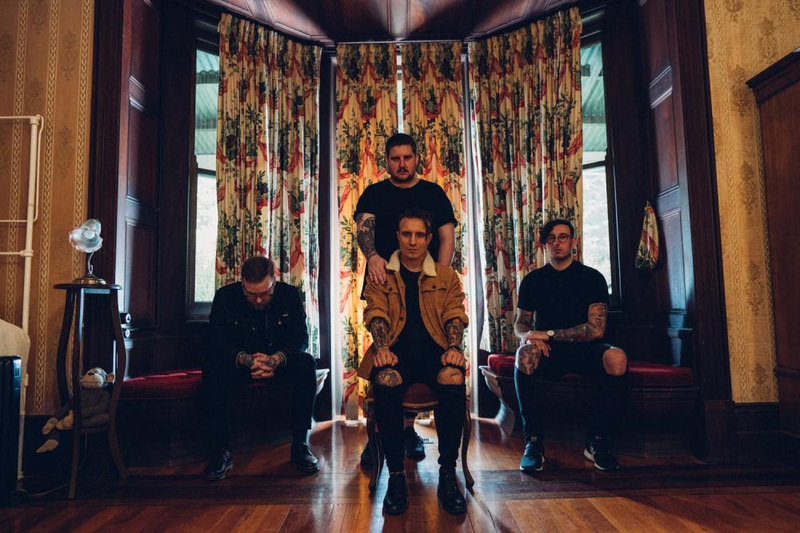 Doubling down on that reaction and emotion surrounding the record, in March they announced their Australian Liar album tour, happening in May 2019 alongside their mates Heists. 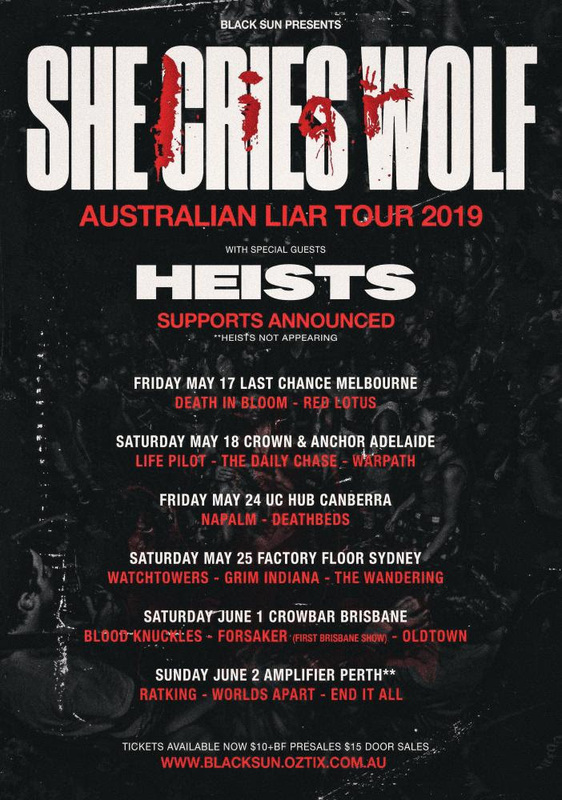 Joining She Cries Wolf for all dates except Perth on the Australian Liar tour at Heists from Sydney. Heists dropped their monstrous latest single 'Defeated' late in 2018 on December 12 and have been riding its popularity since. Heists have previously taken the stage alongside artists such as The Plot In You, Stick to your Guns & Terror, Deez Nuts, Dream On Dreamer and more. The Australian Liar Tour takes She Cries Wolf and Heists to Melbourne May 17 at Last Chance Rock N Roll Bar where they will be joined by Death in Bloom and Red Lotus, Adelaide May 18 at Crown & Anchor will get Life Pilot, The Daily Chase and Warpath in support, Canberra May 24 at UC Hub features Napalm and Deathbeds, Sydney May 25 at Factory Floor supports are Watchtowers, Grim Indiana and The Wandering and Brisbane June 1 at Crowbar Brisbane gets Blood Knuckles, Forsaker and Oldtown. Heists are sitting out for the Perth show at Amplifier on June 2 and Ratking, Worlds Apart and End It All step up! She Cries Wolf's brand new album 'Liar' is out now at http://bit.ly/SCW_liar - and tickets for the Australian Liar Tour are on sale now at blacksun.oztix.com.au.